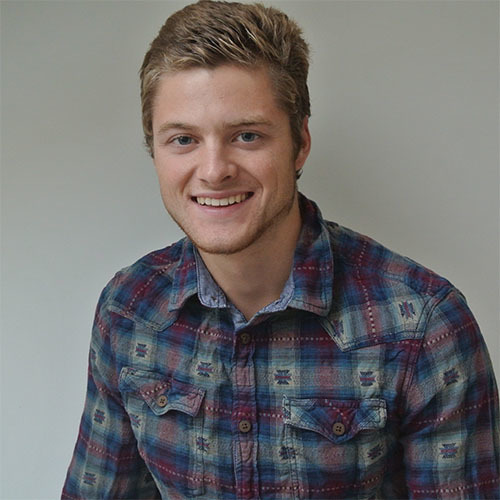 Josh Worley guides us through our latest project with Ixonos, based in San Francisco, and explains why it’s a perfect example of distributed manufacturing. 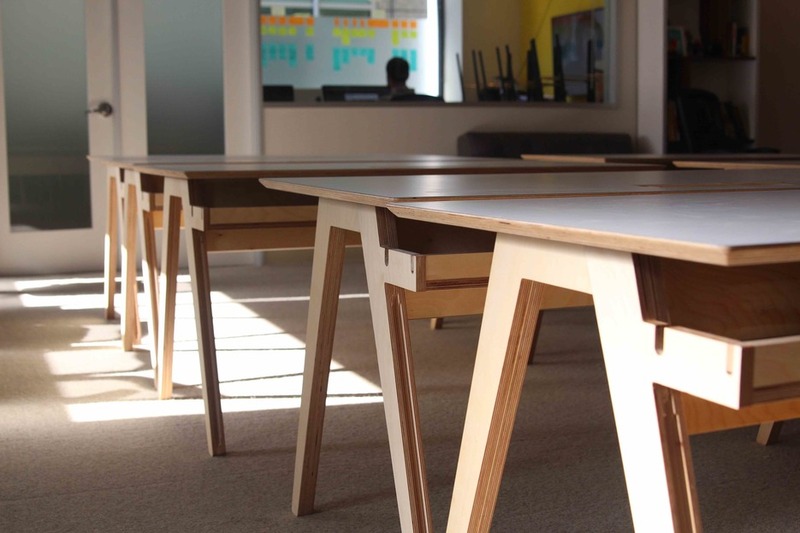 Friday 9th October saw the delivery of 18 beautiful office olivia desks to digital design agency Ixonos in San Francisco. It was the successful culmination of six months of preparation and planning. Whilst the logistics of the project lasted only a month, the roots of the project were laid long before in April 2015 during a week long trip to San Francisco. It was the perfect opportunity to network and meet innovative start-ups in a city billed as the start-up capital of the world. 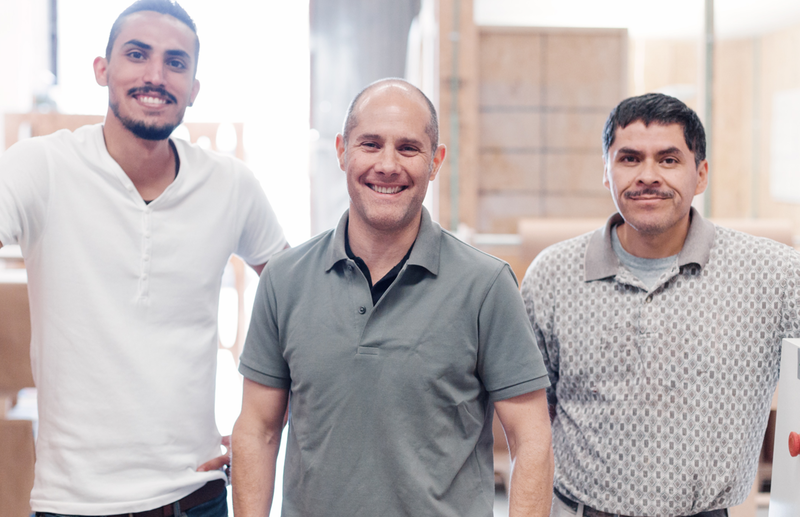 Opendesk’s promise of local making is nothing without the professional fabricators that provide our production infrastructure. “Professional” is a key word here. Offering high quality designer products is only possible with a network of makers who are able to meet our high standards of making. Building this network constructively, in line with our standards of making, requires a holistic approach. The opportunity to meet a maker personally is hugely valuable. I began the search for fabricators in San Francisco and as Opendesk’s promise to connect customers, designers and makers in a new ecosystem was captivating enough, six responded very quickly and were keen to meet.Three previously detached groups of people are brought together to transact around digitally designed and made goods. Each of the six makers saw huge value in this. The ability to connected with customers in their local area. Learning about each maker is a critical first step and we go through a screening process (for lack of a better word) before a maker is onboarded. The criteria ranges from; what are their skill-sets/ specialities? Are these transferable to the production of designer furniture? What facilities do they have and how does this influence their capacity? Finally, it’s important to share the Opendesk making standards. Can the fabricator meet these standards and at what scale? The standards are actually informed by makers, so it’s these valuable insights that help us become more efficient. 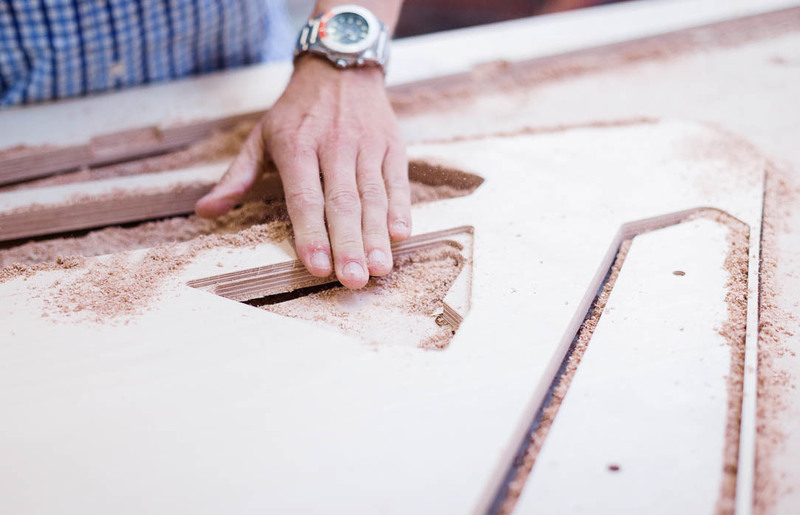 Each maker will give you a piece of their puzzle tailored to their habits, preferences and location. But, how does their piece fit into the bigger puzzle of facilitating local making on a global scale? Adjusting our drawing conventions to suit the work-flow of a single maker is simply not logical. Instead, one must search for trends in feedback and rapidly iterate on them. This was exactly the approach we took and we’ve now partnered with several makers across the bay area. Highlighting one in particular, Lucid Machine Art, a fantastic CNC design workshop in the San Francisco metropolis. Founder, Rob Erhet, met with me to share his experience and showcase his company’s fantastic production facilities. 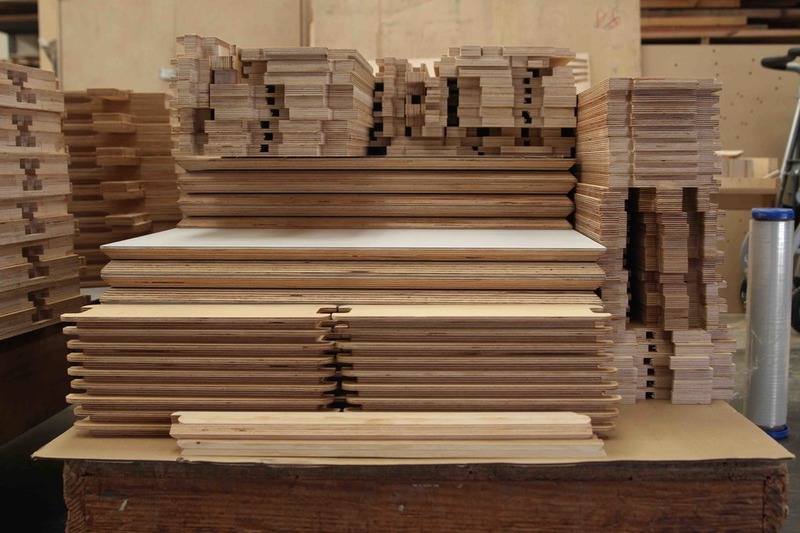 With capacity to produce a large volume of CNC milled wooden furniture at a high quality, Rob’s workshop was an excellent match. It presented us with the opportunity to begin approaching potential customers in San Francisco, safe in the knowledge that we had established a core team of fabricators to fulfil orders. Digital design agency Ixonos approach us a matter of weeks later and expressed an interest in Open furniture for their San Francisco office. We saw it as a chance to showcase a brand new maker, something we celebrated with Ixonos, who saw huge value in the deeper meaning of their new furniture investment. Their money held in the local economy, supporting a Maker only two miles away. Separated by the Atlantic and much of the US continent, the 18 Office Olivia desks traveled from London to San Francisco as digital files. 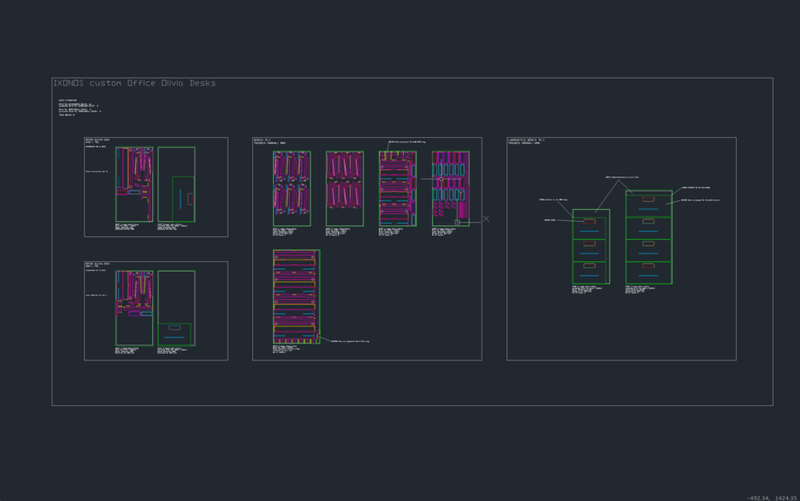 Below is an illustration of the production CAD file used on the project. 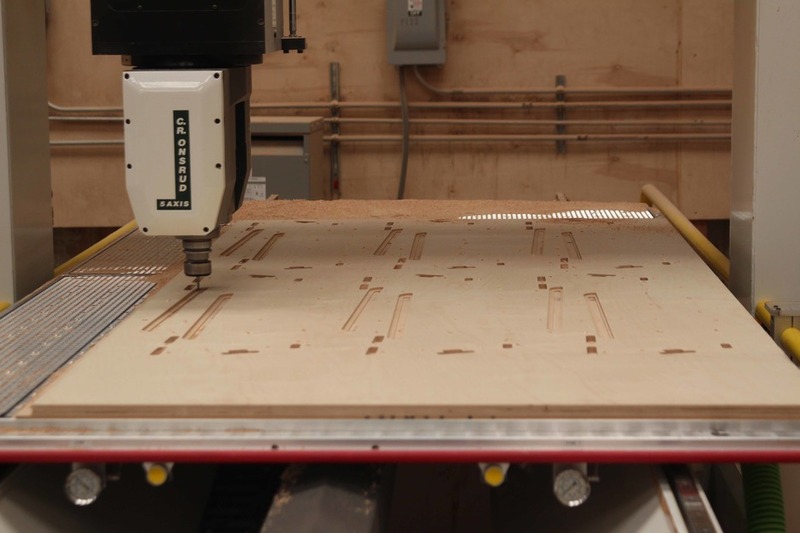 Rob used the file to produce his first Opendesk piece. 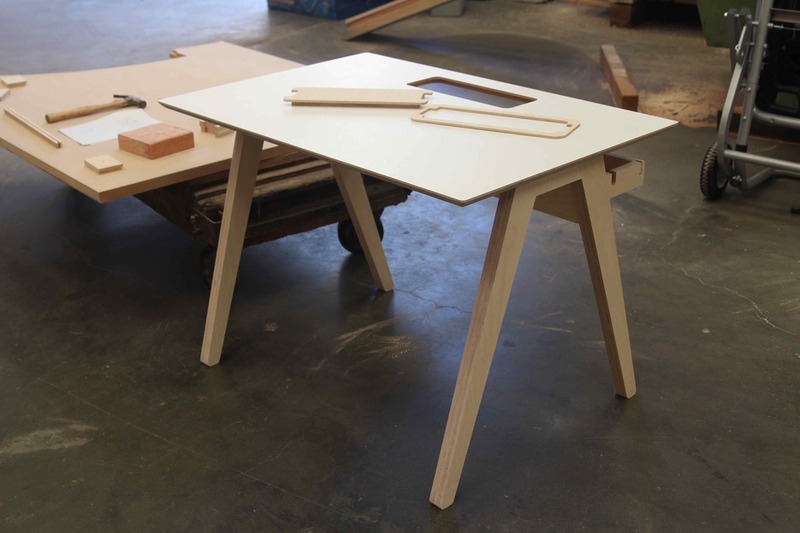 A test version of the Office-Olivia desk, an important step that allowed Rob to learn about the process of taking a Opendesk design from digital file to a tangible object. 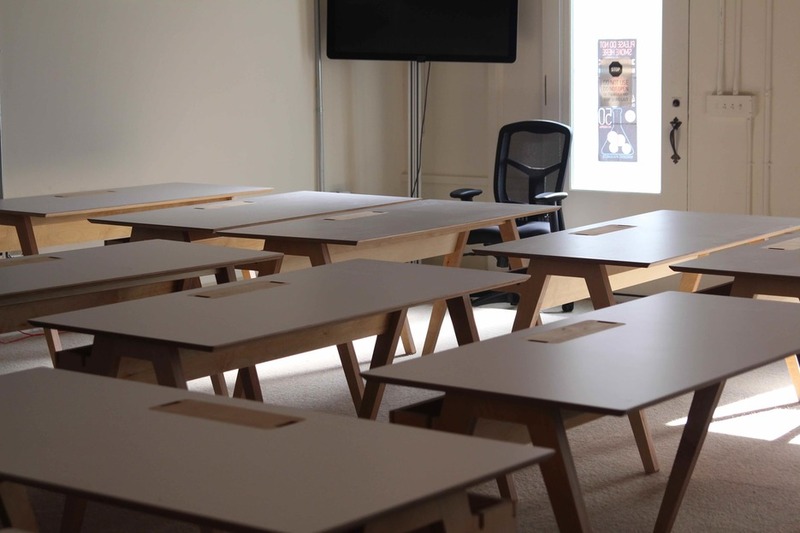 With the test Office Olivia desk finished the final batch of 18 desks were produced, delivered and assembled by Lucid Machine Art, bringing the project to a close. It was a perfect demonstration of the social process that makes our platform special. 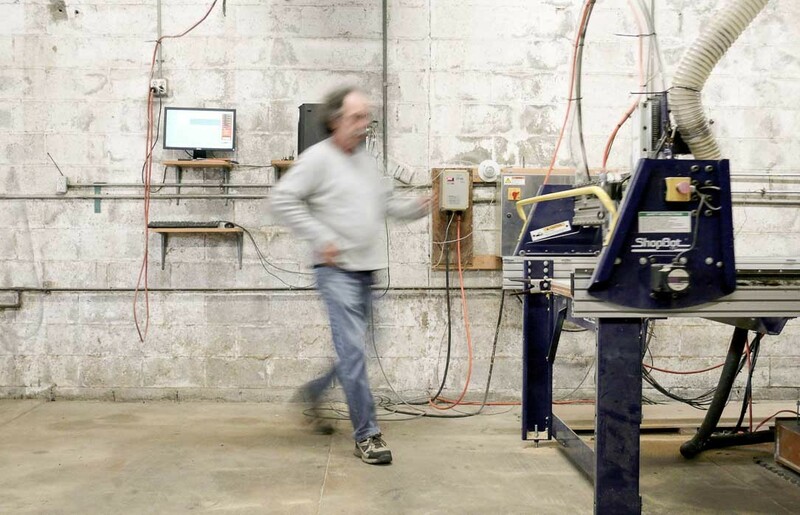 Harmonising the maker, customer and designer around a common goal, local making.